Everyone deserves a beautiful smile! Today there is no reason to settle for anything less. Even patients that have lost all their teeth deserve a life free from the hassles of lose dentures and the inability to enjoy certain foods that cause embarrassment. Implants can replace everything you have lost â€“ from a beautiful smile, to taste, to the ability to eat whatever you want. This simple procedure can transform your confidence and improve your looks. 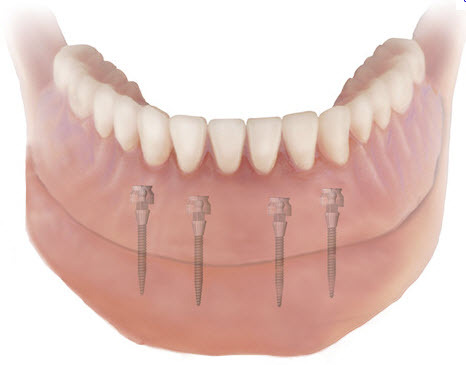 Many patients who have selected the dental implant denture describe a quality of life that is much more comfortable and secure than the lifestyle endured by those with removable dentures. Cause embarrassment in social situations when they slip and click due to an ill-fitting denture.